Chicago born artist Adjoa Burrowes has illustrated over 17 picture books utilizing her vibrant cut-paper collage style. The award-winning Grandma’s Purple Flowers, which she also wrote, was an American Booksellers Association, Kids Pick of the List winner; a Bank Street College, Kids Book of the Year Selection; and winner of the Paterson Prize for Books for Young People. Burrowes’ illustrations have toured museums and art institutions across the nation in several traveling exhibitions including Picture Stories: A Celebration of African American Children’s Book Illustrators. Several large scale public artworks, based on Burrowes’ book illustrations, include The Gift of Words; a 75 sq. ft painted mural that is permanently installed at the Martin Luther King Jr. Memorial Library in downtown Washington, D.C. As an educator, Burrowes’ has contributed to the community through her collaborative art projects with children, and arts integration training. She has taught a series of popular art workshops at the National Museum of Women in the Arts, and served as a teaching artist for over 8 years for the The John F. Kennedy Center For The Performing Arts in Washington, D.C. designing and implementing art and creative writing residencies in over 18 D.C. public schools. 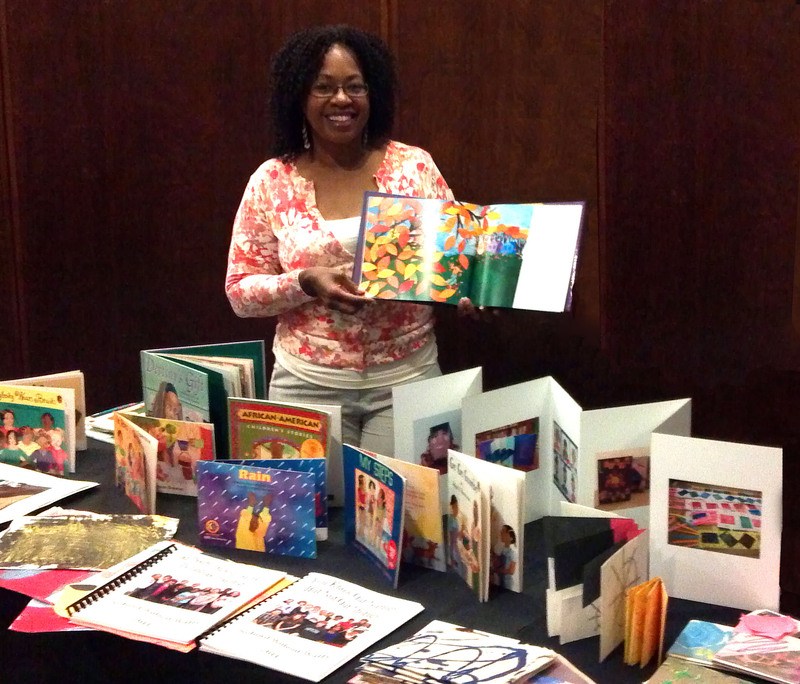 Her latest professional development workshop, “Hook Into Books: Bookmaking for English Language Learners” offered this Spring at the Kennedy Center is designed for elementary school teachers.